The car was in fact ordered for Noel Armstrong of British & European Automotive of El Paso, Texas. 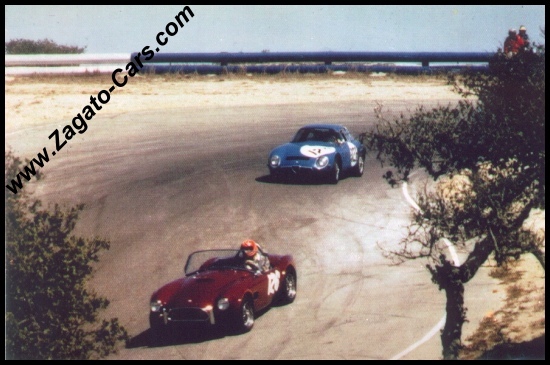 Armstrong was an Alfa racer of some note in the Southwestern United States and had campaigned a series of Alfas in the 1950’s and 60’s. He wanted a full-race, Autodelta prepared TZ when they first appeared in the European racing scene. Alfa Romeo, Inc., the U.S. arm of Alfa Romeo would not honor such a request citing that full-race cars were not available to the public. Armstrong managed to pull some strings and got just such a car. According to the long-time chief engineer of ARI, Don Black, “A political deal between Arturo Reitz (the then President of ARI) and the clown manager of ARI Long Beach”. The car went to British & European Automotive of El Paso in March of 1965. Noel Armstrong raced it extensively in the Southwest. 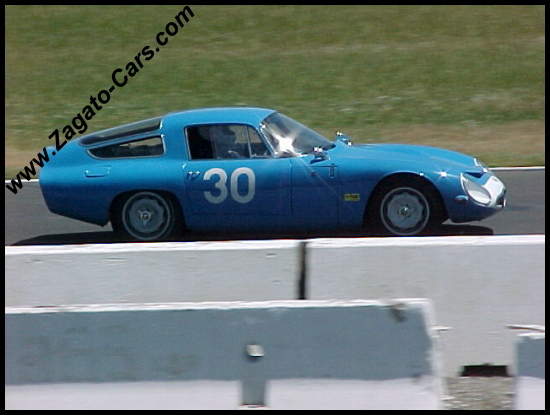 He took the car to Sebring for the 12 Hour race but either did not qualify or had mechanical trouble and did not run. 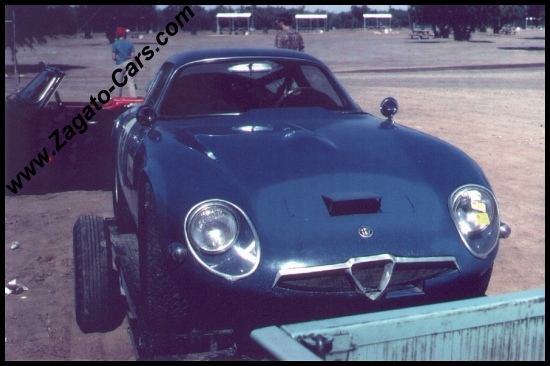 The car was maintained by noted Alfa Guru, Ron Neal who was working with Armstrong at the time. The car was raced hard for a number of years and then was transferred to a Robert (Al?) Morrison of Atlanta, Georgia in October of 1970. Subsequently in July of 1974, Lawrence Jones of San Francisco bought the car and had it completely restored by Griswold in Berkeley, CA. The car was then sold to Said Marouf of San Diego. Just about every collector car dealer on the West Coast at the time made a commission on the transaction, including Fantasy Junction, Mike Sheehan and Don Orosco. In 1988, Tom Byrnes of San Francisco bought the car from Said and gave it another restoration. Acquired the car from Tom Byrnes in 1998 and campaigned the car in vintage races all thru the West Coast of America until 2005. The car was equipped with a twin-plug head and pretty much all of the original or original spec equipment. It is one of a handful of TZs with knock-off wheels. The car is well known on the West Coast and had appeared in many vintage events over the last thirty some years. 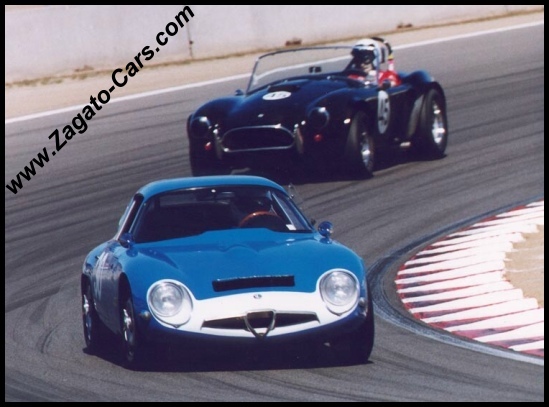 It had adorned the pages of many magazines and the latest Pat Braden book, “Alfa Romeo all-alloy twin cam companion 1954-1994”, the front cover of Alfa Owner and appeared in a limited edition calendar commemorating Alfas being the features at the Concourso Italiano and Pebble BeachConcours in 2005. As far as I know, the car was raced pretty much every year since new. I have a letter from Ms Elvira Ruocco of Archivio Storico Alfa Romeo, Centro di Documentazione stating the date of manufacture, original color and date of transfer to Preston Triksen of Rezzaghi Motors. I also had a copy of the Bill of Sale from Rezzaghi Motors to British & European Auto (BEA) and from BEA to Robert Morrison of Atlanta, GA as well as the original Bill of Sale from Morrison to Larry Jones, copy of vehicle registration to Said Marouf and of course, the original Bill of Sale from Byrnes to me. I had the racing record log book back to the mid 80’s when Marouf owned the car. All of these documents were passed on to the next owner. ** indicates information provided by former owner Felix Chiu whom we would wish to thank for this.